1. Press magazine catch with right thumb and, at same time, withdraw magazine from receiver. Pull slide to rear and look in chamber to see that gun is not loaded. Close slide and pull trigger so hammer is down. 2. With thumb, press inward on knurled end of plug, at same time rotating barrel bushing, turn clockwise to free plug and recoil spring assembly. Rest heel of gun on table so both hands may be used. 3. Remove plug and recoil spring. If spring does not come free easily, rotate plug in counter-clockwise direction to separate plug from recoil spring. 4. Rotate barrel bushing counter-clockwise until disengaged from slide. Remove barrel bushing. 5. Slide is pulled to rear until lug on slide stop is opposite clearance notch on slide. Rounded end of slide stop pin protruding on right side of receiver is pushed inward by finger of left hand, which disengages slidestop from slide. 7. Pull receiver group to rear and off slide. Recoil spring guide can now be lifted out. 8. Push link forward and remove barrel from front of slide. 9. With hammer cocked, rotate safety lock almost to “On” position. It can now be pulled to left and away from receiver. 11. Lift out hammer assembly. 12. Using hammer strut, punch out mainspring housing pin. 13. Slide mainspring housing off receiver. 14. Lift out grip safety. 15. Lift out sear spring. 17. Lift out sear and disconnector. Note relationship of these parts to facilitate reassembly. 18. Depress magazine catch from left side; at same time rotate magazine catch lock 1/4 turn counter-clockwise using lip of sear spring as screwdriver. Magazine catch assembly is then removed from right side of receiver. Catch assembly can be reduced to components by turning lock clockwise 1/4 turn. Spring and lock will come out. 20. With hammer strut, push out link pin, separating link from barrel. 21. With hammer strut, push in on firing pin. At same time place fingernail against top edge of firing pin stop and push downward, freeing firing pin stop from recess in slide. 22. Remove firing pin stop. Firing pin assembly can now be removed from slide. 23. With hammer strut, pry out and remove extractor. 24. Separate firing pin from firing pin spring. If you have any questions please don’t hesitate to leave a comment to get in touch with me. I check my email often and will get back to you ASAP. I will be checking often to see how this page is comeing. I saw you used my YouTube videos on your site. I was actually pretty excited to see them on here. I’m glad they came to use from someone. It’s honestly my pleasure! Anything I can add to the blog to help fellow shooters is a big plus. It’s really become a labor of love. The blog started out pretty small but the more time I put into it and the welcome feedback telling me the features are helpful means a great deal to me! How about a footnote on the difficulty of re-assembling a Kimber with a 30 lb spring and reverse barrel bushing? Love the gun but hate to break it down. Thanks very much for the video. I had a helluva time getting the firing pin stop slid out even with the firing pin held back by the firing pin block. It’s been so long since I owned a 1911 that I forgot and figured I was doing something wrong.It’s a Taurus 1911 SS that was new. Surely machining burrs caused this. Otherwise it functioned well. Thanks again! Glad to be of help. I know what the problem was. With the Taurus and other 1911’s with that series 80 type safety unless you depress the circular spring loaded piece inside the slide it will keep the firing pin from going all the way in even if it’s locked under the firing pin stop. It’s a little awkward but you use whichever finger makes it easier for you and keep that piece depressed as you slide the firing pin stop in. It goes in pretty easy then. Of course with a series 70 you don’t have to deal with that series 80 system. Thanks much for your comment! I’m glad you’re enjoying the new 1911. They are some kind of fantastic pistol. When you realize it’s almost 100 years old you can really appreciate John Brownings design genius! That’s great that the videos are helping you. I put them up there hoping people would get some use out of them and it’s nice to hear you are! Feel free to download them to your computer if you want. There is a link to do that under each video. Thanks for your comments! so I don’t want to disassembly until I see the u-tube on S&W1911. Is it the same as colt’80 safety ? Is it the same as your U-tube or more difficult ? I thank you sir! The S&W safety system is different than the series 70 of course but the S&W is the same as the series 80 takedown procedure. Just disassemble as you would an 80 series by making sure the small notch that sticks up at the rear of the slide is depressed as you push the slide over it. That way the piece, which is part of the safety,isn’t bent by the slide impacting it. No force is needed when this piece is depressed. Simply depress this then slowly push the slide to the rear until it clears. Great disassebly/assembly videos. Thanks! I recently purchased a Colt M1991A1 Series 80 (2007 year model). I have a few questions I hope you can answer; 1)What’s the difference between a model 1911 and a 1991? 2)whats the difference in a Series 80 and a series 70? 3) Will my M1991A1 disassemble and reasemmble like the one in the video? I sent you a pretty long email. I hope it helps you out. Can I take the series 80 parts out of my Thompson when I reassemble it? Will taking these parts out impede the sooting process? I am having a very hard time putting it back together with those two series 80 parts in the frame. Man, The videos are awesome, It’s my first time on your site. I’ve learned a lot just watching the vids, but I wonder if you could do a video disassembling a series 80, I can’t put it back together. I’m glad the videos helped! I hope you enjoy the blog–there is a lot on 1911’s in there. Maybe I can help right now with getting your series 80 back together. The only difference between the 70 and 80 series is the safety system otherwise they are the same. I know the part that’s giving you trouble and it’s a pretty common thing to happen. There are two pieces to the new safety you can see. One is a round small spring loaded circular button inside the slide at the rear. You can press down on it and feel the spring pressure. That’s not a problem though. The problem your having is a part on the frame. It’s a small lever that sticks up from the from by the right slide rail behind about where the trigger would be underneath. When you put the slide on and run it back on the rails this little lever will stick up blocking slide travel any further back. Just put the slide on the frame move it back and about the time it just over the trigger you’ll see it. Just use your thumb to hold it down flush with the frame and ease the slide over it and continue moving it backwards. That will allow the slide to clear the pesky thing and you’ll be able to move it one back to where you need it to complete assembly just like the video. That’s really the only difference. What that small lever does is depress that round spring loaded piece when you pull the trigger but as I said when that slide goes back it pops up and blocks the slide. It is kinda small so it’s not obvious at all. Some series 80 guns the lever doesn’t rotate up until the rear of the slide is almost over it which makes it hard to notice. That should solve your assembly problem though. Like I said all else is the same. Let me know if you have any other problems I’m always glad to help. Thanks again for the info, it’s all clear now. It’s too bad that I’m out of town right now, so I can’t reach my gun. I was having trouble with the safety parts, and I will check the lever in the frame too. I’m always glad to help so if you need anything at all just email me. I recently purchased a Springfield Armory 1911. It has an Ed Brown bushingless barrell in it. I am able to remove the slide from the frame, but I can’t remove the spring, guide rod and barrell. What am I doing wrong? Every other 1911 I have owned had a barrell bushing. This is a first for me. Thank you! Read page 29,30,31 for instructions on disassembly of this type of barrel. Note the small tool that goes into the small hole in the guide rod. You will need this to hold the springs back in order to remove the barrel. This should make it pretty clear but in the event it doesn’t work on your pistol just let me know and I can help you with the other types of bushingless barrel disassembly. I’m always glad to help so just email me if you have any other questions. I just sent you an email reply and I’m sure I can help you resolve this. I look forward to hearing from you. awesome videos. im about to put my first 1911 together this weekend. these vids def help alot. the only thing i am unsure about is how to compress the main spring housing parts. my kit didnt come with that disassembly pin. whats teh trick to that? These videos have been a huge help even more so since the first firearm I have bought is a rock island 1911… I was able to take it apart and put it back togeather flawlessly multiple times infact one of my friends who was teaching me alittle about it did the same…however I have run into a huge problem that I just cant get around so here goes…. When I put the barrel back in put the spring back in slide the gun slide back on and try to line up the hole to put the pin in… nothing i can do now will get it to line up right no matter what I try… my friend and I spent approx 2 and a half hours trying to get it to go back in like it did the first 10 times with no luck, suggestions? That’s not an uncommon problem. The easiest way to get that sometimes pesky slide release in is to hold the pistol in your right hand with enough tension to keep the slide back about even with where it would be if the slide release was in then hold the pistol with the barrel up at an almost 90 degree angle so the barrel link drops back even with the hole in the frame. You can usually see when the link hole and the frame hole are lined up. Then take your left hand and place the pin in the hole and if needed work it back and forth a little and it should go all the way in. At that point release the slide and work the release the rest of the way in. I place the pin in then use my thumb to push up at the rear of the release until it compresses the small spring and drops into place flush with the frame. Let me know if you have any problems and need some additional help. Great video, truly helpful. I have an Auto Ord. 1911, can I use the same procedure to disasemble? I’m glad the videos helped you and yes they apply to your pistol. What I started this morning was to say that frequently when the slide goes forward after you have it back togther is that the pin ob the slide stop missed the hole in the barrel link when you put it back together. I think we’ve all done that a few times. If you hold the gun barrel up as you put the slide stop in the link falls back in place so the pin fits as it should and everything locks up as it should. This website very good for me. thank you for the comment. I’m very glad you found the blog useful! What a life saver….got my RIA 1911 apart to clean (NEW)….just couldn’t get the sear and disconnect and combination spring in right….the video cleared it ALL up and the gun is back together and works great. I’m going to disassemble and assemble it over and over till I can do it my sleep. the bushing on the front of my 45 is not a one piece fitting that fits over the barrel spring. it has a outside ring that will push down easily but the inside pin will not go down far enough to allow me to extract the front barrel spring. It hasn’t been shot in a number of years. What can I do to allow me to get that piece out and allow me to pull the barrel spring? I have an Auto Ord. The springs are heavy duty, it takes a lot of effort to rack the slide.Should I get lighter springs? Is there an advantage to heavy springs? i would like to make the gun more accurate I can keep all the rounds in the black at 15 yards but would like to tighten the group. What would be the best parts to replace? Thanks for the help, I can break the gun down to its basic parts after watching your video and a lot of practice. I would like to replace the basic military sights with a three dot system, any suggestions? Is this a 70 Series? My 1911 firing pin comes out a little differently….there is another button on the bottom of the slide that I have to push to get the firing pin completely depressed…and I assumed it had something to do with the firing pin safety/series 80 thingy magigy. It seems that several makers have decided to use about three different types of safties. They use the standard series 70,series 80 as well as a rework of the old Schwartz safety. Your 1911 is using the series 80 type and yes the only way to completely remove the firing pin is to depress the button inside the slide. You just remove the small plate that holds the pin in place, after that just depress that button all the way and it will come out then. Most of them don’t have springs strong enough to make it fly across the room but some do so it’s best to hang on when you depress that button. Great videos……… I have a Taurus PT1911 and I was wondering if you would know if it would disassemble the same way as the Springfield in the video does……….. It sure does. The Taurus uses a safety similar to the series 80 but assembly and all is the same. You got a great pistol believe me! Glad the videos helped! You can use the grip safety spring as a screwdriver when stripping the 1911A1 if necessary… (soldiers don’t usually carry screwdrivers in their packs do they?) I don’t recommend it, but possible in a pinch. I have used it before to release the magazine safety screw when I didn’t have a screwdriver. It’s nice that the 1911A1’s own parts are so thoughtfully designed as to be the necessary tools for assembly/disassembly. Also, I don’t know if my 1911A1 is made differently than yours, but I don’t have to lock in the mainspring like you do to strip mine. Hi Gunner- great videos; I have a Springfield Loaded model with the ambie thumb safety; how does that come apart? It’s pretty much the same except when you pull the left thumb safety out you go ahead and pull the right one out as well. You then put the left in first then the right. There is a notch between the two that has to be lined up as well. Otherwise they are pretty much the same. I pulled my slide back too far on reassembly and it is now stuck (Duh!). How can I fix it now? I got it fixed, just had to fiddle with it. Thanks again for a great video sir! I’m not sure at what point it’s stuck but to begin try to remove the slide release if it’s in. If you haven’t gotten to the point of putting the slide release in use a rubber mallet and lightly tap the rear of the slide. Make sure the thumb safety is down first. Don’t force anything though. If that doesn’t do it I’d take it to the local gunshop and let them do it for you. Without seeing it it makes it hard to really be sure how to go about it. How do you take ambi thumb safety apart. As the video shows remove the left side thumb safety then the right side pulls out the same way. Sometimes you have to jiggle it a bit but it should come out without much difficulty. Installing is just reversed. A few 1911’s are a bit different what brand is yours? Thank you Joseph:-) I hope they have been helpful. thanks for the vid, i am upgrading my 1911 and have soo much more confience in the project thanks to your vids. Keep them up and thanks agian. I just want to say Thanks! The video is great. I was in the Marine Corps for 6 years, qualified on the pistol range a few of thoses years, and of couse, we used the 1911. That was a while back, I got out in 1999. I recently bought a Springfield model 1911 A-1 and could not remember how to take it apart. After watching you video, it came back to me. When I took it to the range, I noticed it was denting the casings upon extraction. I thought it may need a good cleaning. I haven’t taken it back out yet. Any ideas on this? You think the slide could’ve been sticking some? Thanks Again! You are very welcome! 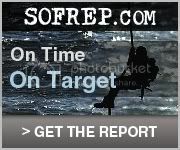 It’s always great to hear the info on the blog helps a fellow shooter out. It’s easy to forget how to take a 1911 down after awhile away from them. Ah yes the dented cases–which is not uncommon at all. What is happening is the extractor needs to be tuned so that it doesn’t slam the empty cases against the side of the slide. You probably have a mark on the slide from the brass hitting it as it ejects. It really won’t hurt anything but it makes the brass unuseable for reloading. Over time it will wear the extractor though. Any gunsmith can adjust it for you for very little charge. Your information is very informative. I do have two questions for you tho’. I recently acquired a WW II vintage remington M1911A1 in better than average condition. Iam not very familiar with hat gun so I am hoping you can answer my question. I noticed when I first field stripped it to clean it that the recoil spring would NO come out of the slide group. The only way I could get it out is by taking it out with the guide still very securely in it. 1. Is one end of the spring (The end that the guide is in) suppossed to be smaller than the other end that the plug is in? I really had to twist and pull to get the guid out of the smaller end of the spring. 2. Since this is an older gun, there are black burn areas on it where apparently the heat from firing got to it on the outside of the barrel especially. Is there anything that will take this black off ? I tried scrubbing with Hoppes 9 and a tooth brush then tried CLP but it would not come off. Once you take the pistol down to the point where the barrel bushing is removed the spring and all will come out the front of the pistol easily. The springs are uniform in size front to back. If you have the Firefox browser running and seen the videos it all becomes pretty easy. As I said yesterday the GI finish on these guns is very plain so they did use a phosphate finish on the exterior of the barrel. Does the gun say property of US Army or US Government on the slide sides? My pleasure sir. Well to begin the 1911 is the type and the 1991 is the model in this case. The 1911 and the 1991 are essentially the same gun except for the safety system. The series 80 is a safety system incorporated in the 1980’s after we had all the lousy lawyer activity that forced gun companies to incorporate new safety systems. If you look inside the the interior of the slide toward the rear (left side when upside down) you will see a small round piece that is spring loaded. You can press down on it to make sure you are looking at the correct piece. This is the primary part of the series 80 safety. Another part is inside the frame. When you pull the trigger the part inside the frame is moved up and depresses the button in the slide I mentioned. This disconnects the safety system so the trigger can be pulled through to fire the gun. Now the series 70. The only difference in the two is that safety system. In all other respects they are the same. The videos will work just fine with your 1991. The small piece that sticks up in the frame will contact the slide when you reassemble it so make sure you depress this small protrusion so it isn’t damaged when assembling the frame to slide. When the slide is about 3/4 of the way back on the frame following the frame rails you’ll see this small part. It will be on the right side looking down onto the gun from above as you move the slide to the rear during assembly. I’m sure glad you found the videos helpful:-) You can also use the link below each one and download them to your computer for future reference. The 1911 celebrated it’s 100th birthday last month! Oh yea the blog also has a section on cleaning that you might find useful. Good lubes and where to place them. You made a great choice in a 1911. The Colt’s are excellent guns and will last forever. If you should decide later to add larger sights or have accurizing work done on it just let me know and I can steer you to some good gunsmiths that have reasonable prices but do good work. It’s a darn nice gun just the way it is though. Any time you have questions feel free to email me and I’ll be very glad to help. I started this blog after reading so much erroneous information on websites and especially forums. I wanted to make sure I was putting out good accurate information for fellow shooters. There is one forum you may enjoy. It’s http://www.m1911.org. Again you have to take some things you read with a grain of salt but there are a good group of guys there. Some have a lot of experience as well as some gunsmiths that are on there all the time. You can post pictures of your gun and participate in discussions about everything 1911. I’m Gunner777 on that forum. Just let me know if you have any questions about my explanations on this subject as well I’m always checking my email. If you have a series 70. Series 80’s Colt’s have a few more parts I found after watching your video. Able to put them back together with a little help from other websites. Can’t find a video on Colt series 80 Government for complete breakdown including inside of the slide firing pin plunger safety. Gave me fits trying to work it in conjunction with the extractor. BEST video I’ve seen to date. Fantastic. Now I can polish my 1911. You were a great help! That’s great I’m always here to help! Thank you! New to the 1911. My S&W and previous gun were easy to dissasemble. And when I asked the dealer to show me it looked intimidating at first. But after watching your video I had it apart in no time and became familiar with the internals. I’ll be looking to change the hammer later down the line and now feel comfortable doing the project. Thank you again! You are very welcome sir! I’m always glad to help so if you have questions you have my email now. Enjoy that 1911!!! gunner i have a kind of dumb question and was hoping you could get back to me to give me some help with a rock island. I just got it and was fiddling around and pushed the round end of the slide lock on the right side of the gun and now it is stuck in and the slide is locked part way back. It a relatively easy fix. What you have is a step in the takedown process. On the left side of the slide are two notches. The forward one is to lock the slide back after the last round fired. The rear one is what you need to use in fixing your problem. Just hold your 1911 up to the light and look through the hole where the slide lock lever was. You’ll see a barrel link with a hole which matched the slide lock. When you move the slide to the rear matching the the slide hole and barrel link together you can insert the slide lock. Match the rear of the slide lock with the rear slide notch and push the slide lock all the way in then release the slide. This will allow things to operate as normal. You can also watch the video portion explaining the replacement of the slide lock during re-assembly. I followed the steps exactly how you told them and everything was going great. Up until the last part. I put the last pin back into the gun and i guess something was messed up and now i can’t pull the slide back. I guess the barrel was knocked out of place when i was putting in the final spring. And to top it off i can’t undo the bushing so i can correct the barrel. It’s like the whole thing is locked up on me now. I really hope I didn’t break the gun. Any advice on what to do?